Triangle Service returns to Steam with DeltaZeal, the second vertical shooter from the "Shooting Love Anniversary" compilation! 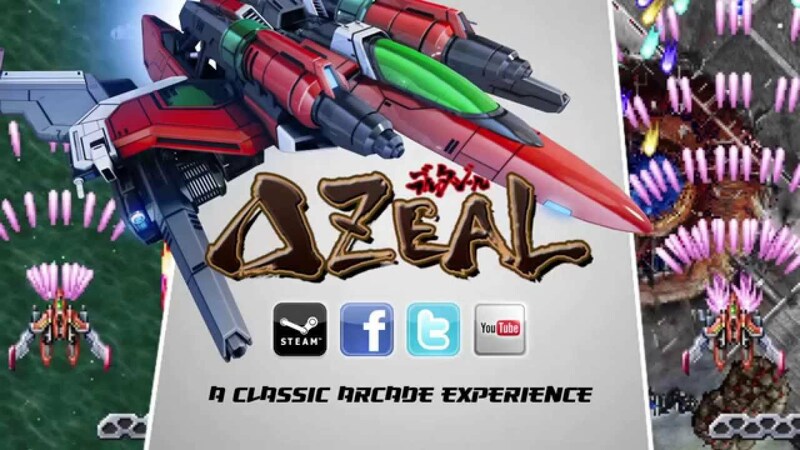 An homage to classic 90's arcade games, DeltaZeal thrills with tense shooting action, crisp sprite graphics, and explosive sound. Equip wide shot, concentrated laser or guided missiles to get the best weapon combination, then blast your way through 9 stages of mechanized enemies and bosses. Try experimenting with different strategies, as there are many secrets and alternate routes to discover. If you reach the end, you will find a challenging adversary to test your gaming mettle! Customize your weapon loadout by combining multiple weapon types, or focus on one weapon type to get the strongest effect! The medal chaining system rewards skilled players with additional challenge. Charge up the Void Bomb weapon for a cascade of points! Highly detailed pixel graphics. Blast hordes of tanks, planes, and ships and watch the debris go flying! Modular boss enemies with multiple attack forms and lots of parts to destroy! Practice individual stages in Score Attack Mode, or play the stages continuously in Arcade Mode. There are 9 stages in all! Branching stage options, secret routes, and hidden enemies add variety to each Arcade run. Fight your way to the top of the global leaderboards! High scores are tracked for both Arcade Mode and Score Attack. Use the replay function to share your best games with friends, or devise a better strategy.